So what do you think: is it gray or grey? My mom just painted her room gray and it seems so much fresher and cleaner! perhaps these adorable throw pillows would make the perfect early birthday present! I still struggle with that question. I feel gray is for woman's hair over 80 and grey is for chic grey haired 50 year olds who are owning it! Although I suppose my 80 year old grandmother is owning it too. Love those booties. I've been looking for a pair but maybe without such a heel. one is American spelling (gray) and other is England spelling (grey) - means same thing - color .. and i am a fan! Great selection of "gray" themed items! I'm on the grays! I have to say though, I will NOT be dying my hair gray, this is one hipster trend I choose to ignore! 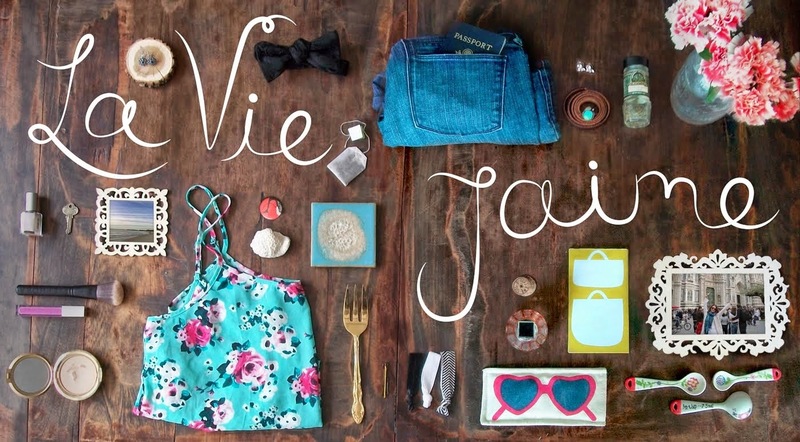 Gorgeous collage, Jaime! XO! It's only grey if you're British. :P Gray is easily my favorite neutral... I *live* in it, year-round. I love this collage but not that frightening photo of Lady Gaga! She needs to lay off the wigs and/or hair dye already. gorgeous dear! I love the color gray / grey. I think I spell it differently each time. Grey - Gray is underrated... Bring it ON!!! 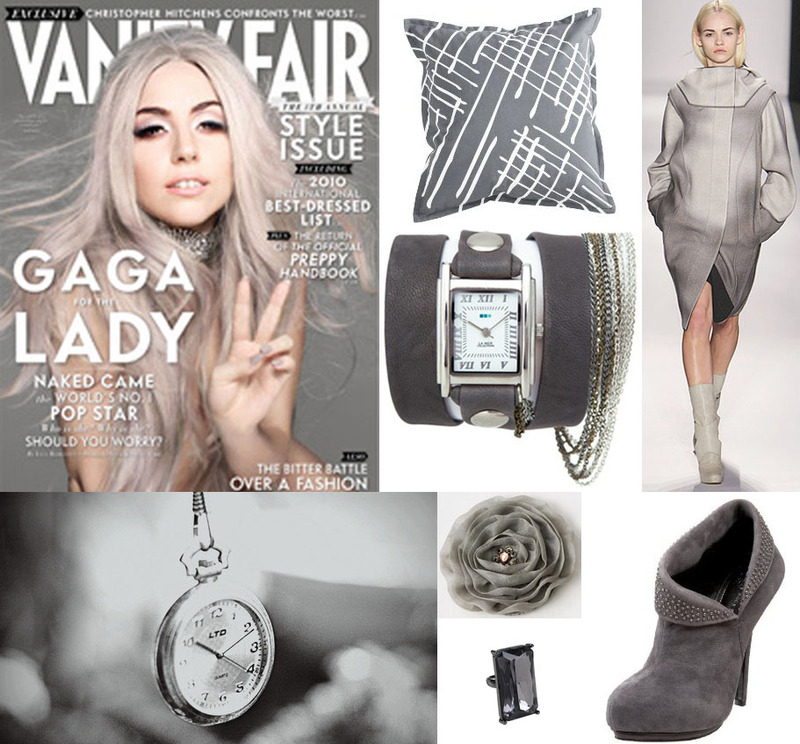 I love all the grey and that Le Mer watch is amazing! I have one in black and right now I'm kicking myself for not getting the grey. I like gray combined with metallic silver. Grey all the way for me! That's Australian for you. I love those boots Jaime, and the ring... and the brooch. What a lovely shade. I call it grey. Love gray, especially in home decor. My bedroom and bathroom are both gray, and I love it because I can literally match it to anything! Glad to find your blog fellow boston blogger! SO cute! Gorge. I love the Lady Gaga cover!! I'm loving gray lately, great pictures! I say it's "gray." I don't thin I've seen it spelled the other way in my fashion magazines. I want to get some gray nail polish next time I get a mani. Hmmm...I think I write it both ways! I love this collage and the colour. I go "grey". I love those boots!! Grey! And I love those booties. Gray is one of my fav colours. Love that Gaga cover. I didn't know your blog... following you since now! Love your selections, especially the pillow. I've been using so much gray in my home recently. It's one of my new favorite colors. I prefer grey, it just sounds more like the color to me!